The Ilyushin Il-476 is a transport aircraft. 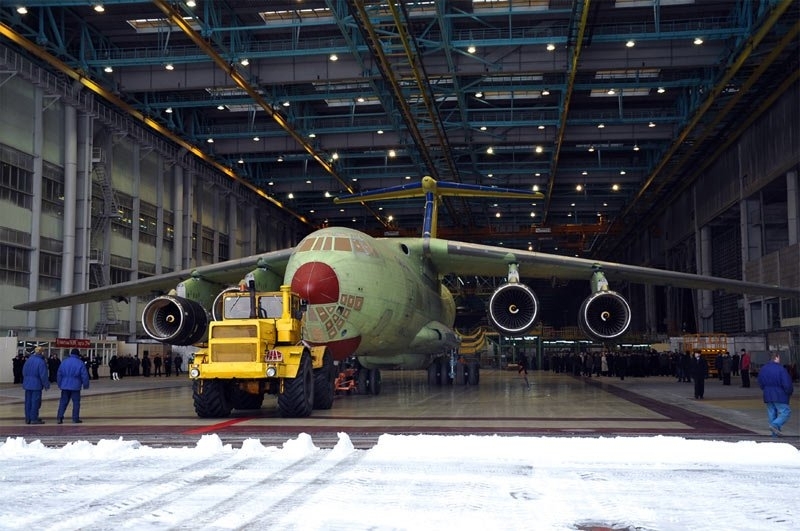 It is a modernized version of the Ilyushin Il-76. 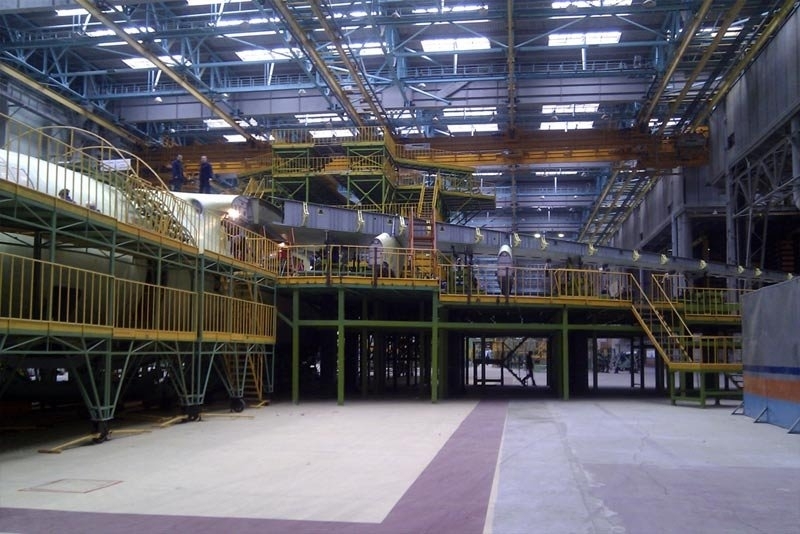 In 2009, they began production works and plan to carry out its first flight in 2012. 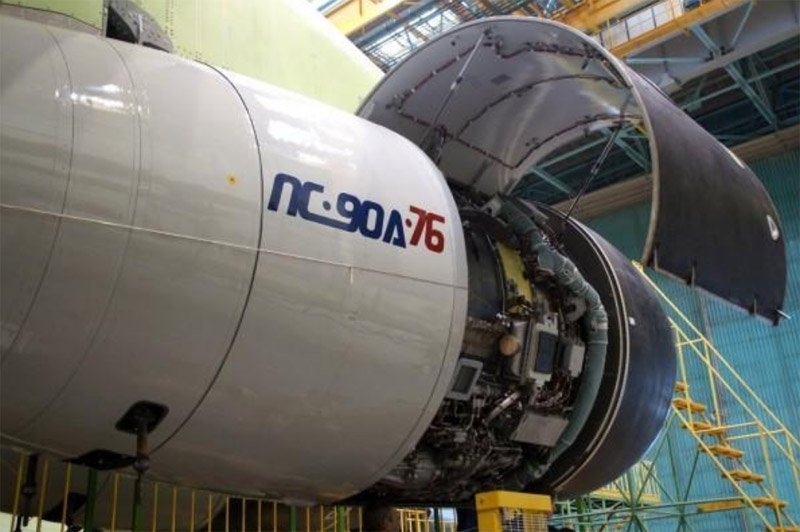 They plan to launch mass production of the aircraft in Ulyanovsk (initially, they planned for mass production to begin in 2011). 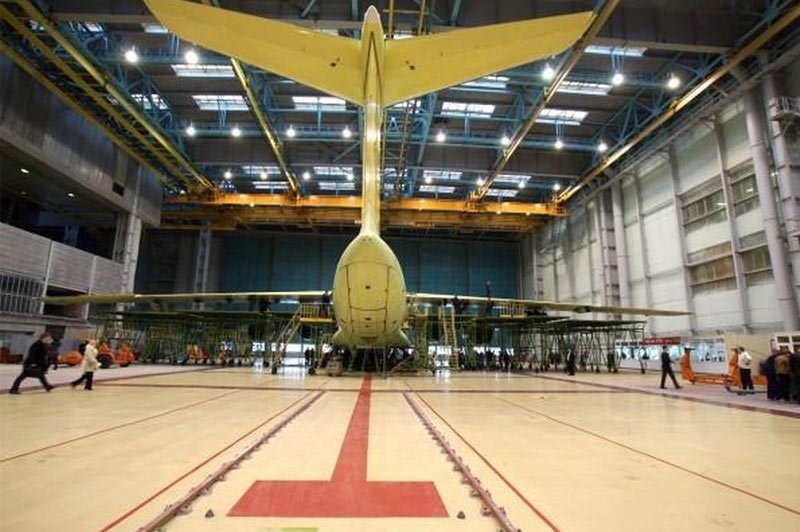 Russian Ministry of Defense is going to purchase several dozens of the Ilyushin Il-476 versions by 2020. 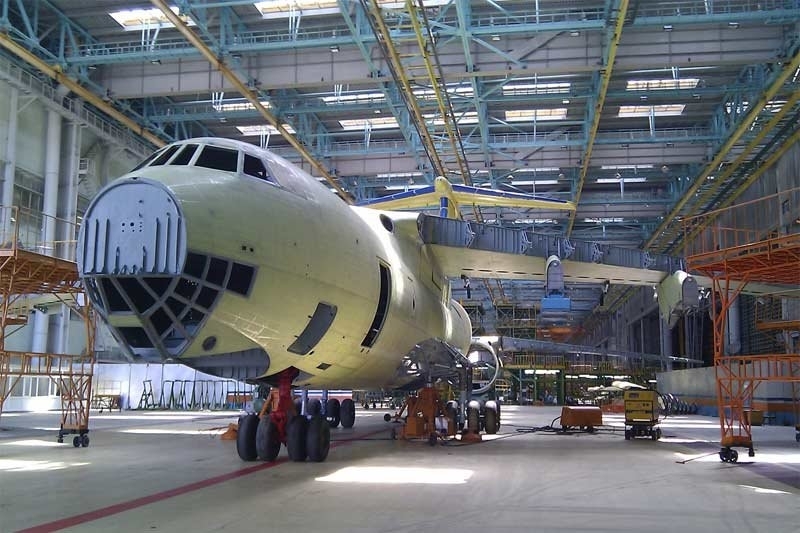 Besides, they are going to design a new aircraft A-100 ‘Premier’ on the Ilyushin Il-476 chassis. 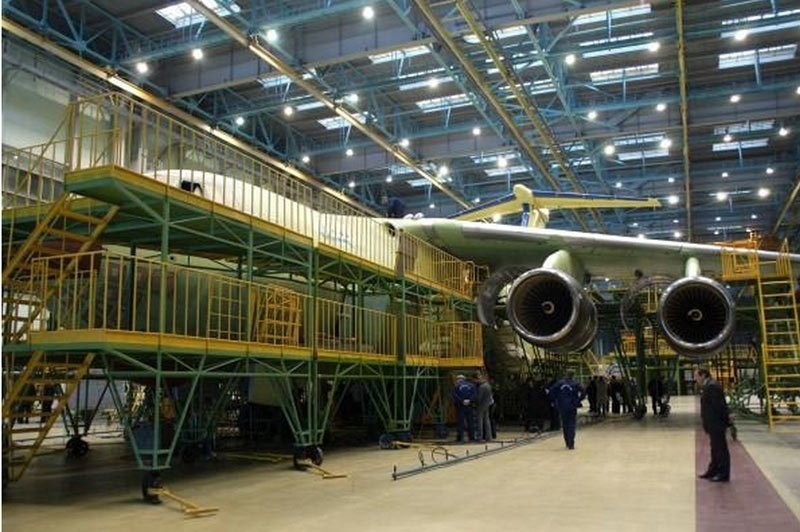 Rolling out the first Ilyushin Il-476 from a department of ‘Aviastar’ aircraft factory, Ulyanovsk, December, 15th, 2011. 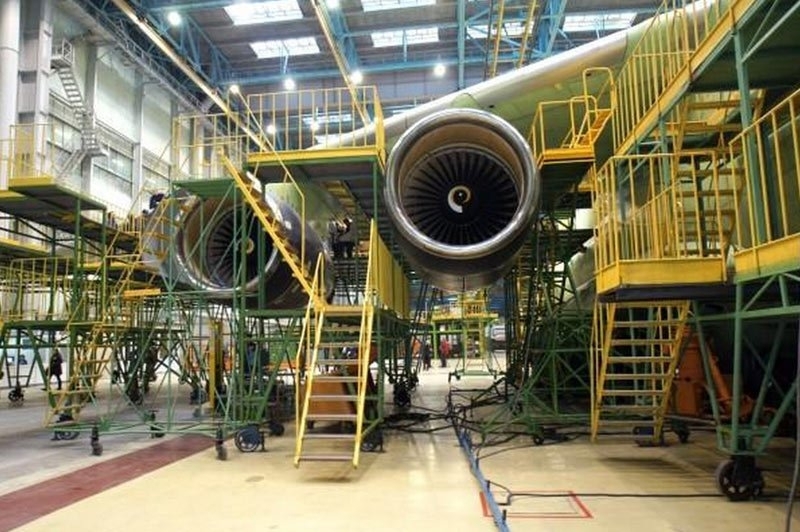 Its construction is similar to that of the Ilyushin Il-76. It has new wings and chassis. 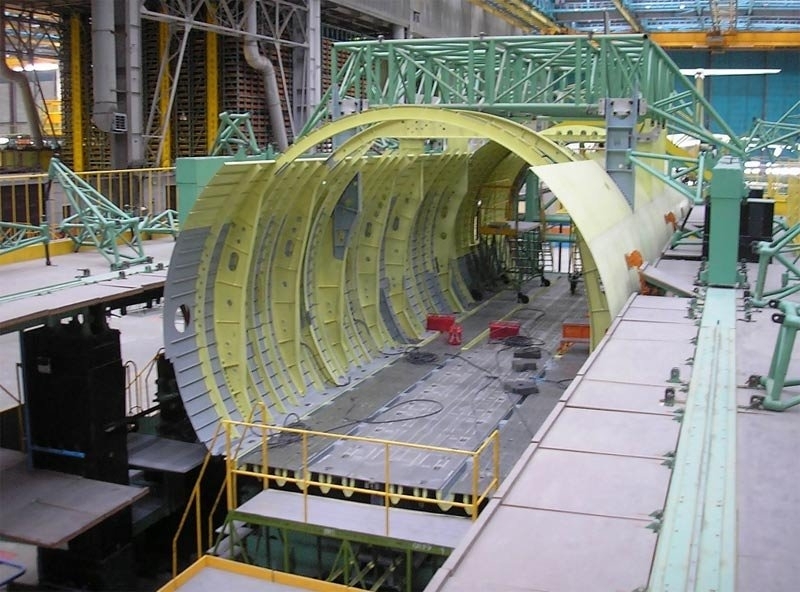 An assembly jig for the Ilyushin Il-476 in Ulyanovsk. 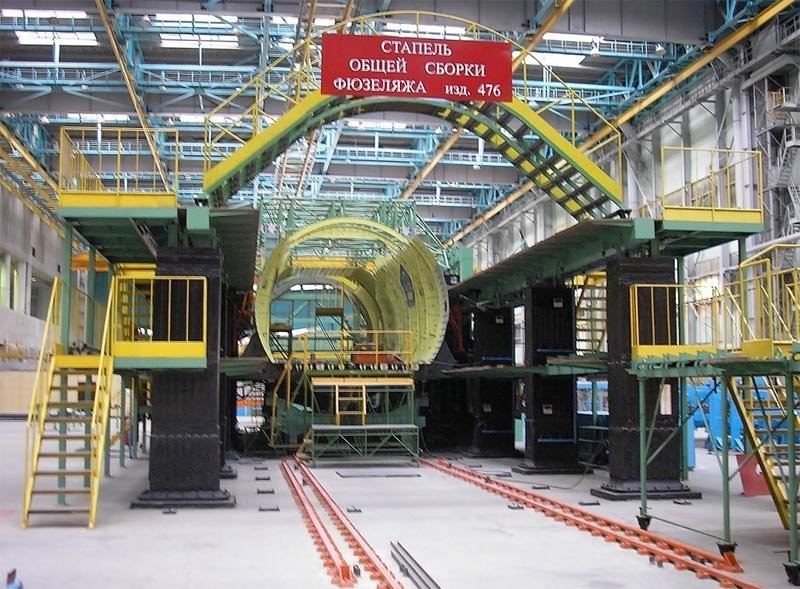 An assembly jig for the Ilyushin Il-476 in Ulyanovsk and elements of the aircraft. 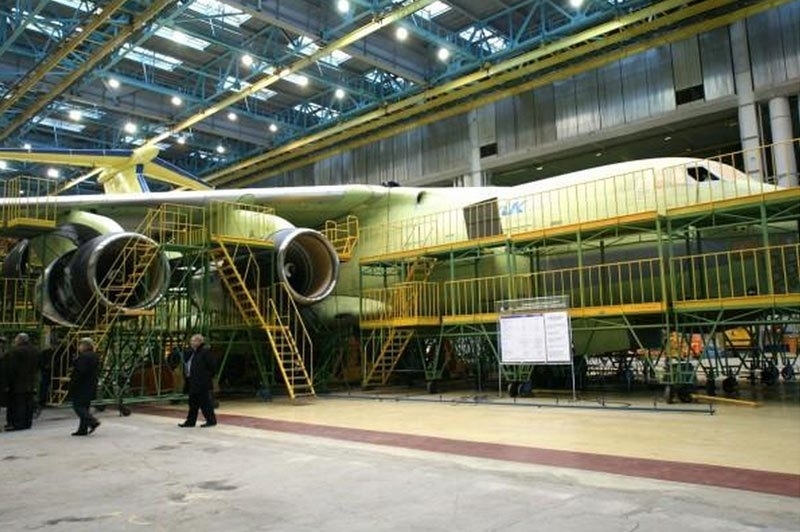 The Ilyushin Il-476 presentation, Aviastar, Ulyanovsk, January 20th, 2012. Engines: TVRD PS-90А-76 with a tractive force of 14,500 kg. 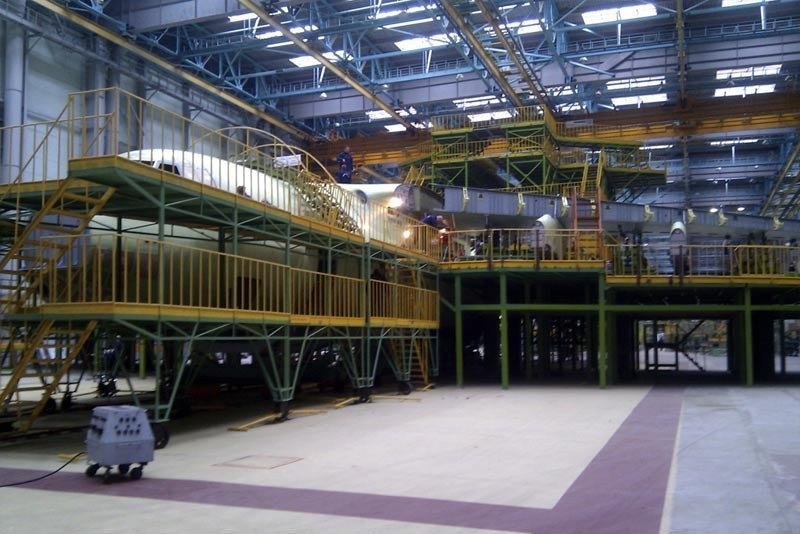 Cargo compartment length: 24.5 m.
Cargo compartment capacity: 312 m3. Maximum takeoff weight: 210,000 kg. Maximum landing weight: 160,000 kg. Minimal take off run: 1,600 m.
The Ilyushin Il-476 – transport aricraft. The Ilyushin Il-476 – airborne refueling tanker. In 2009, they planned to make a contract to produce 6 aircrafts for India. 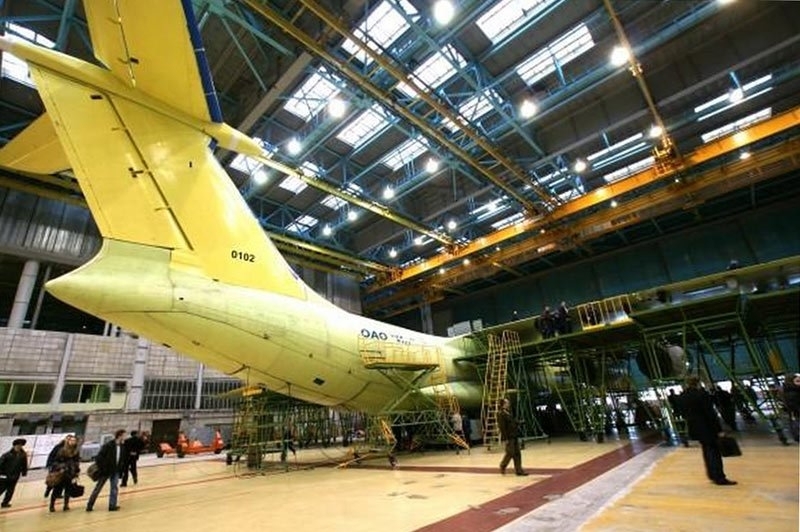 Prognosis for Russian Ministry of defense is 38 aircrafts by 2020. 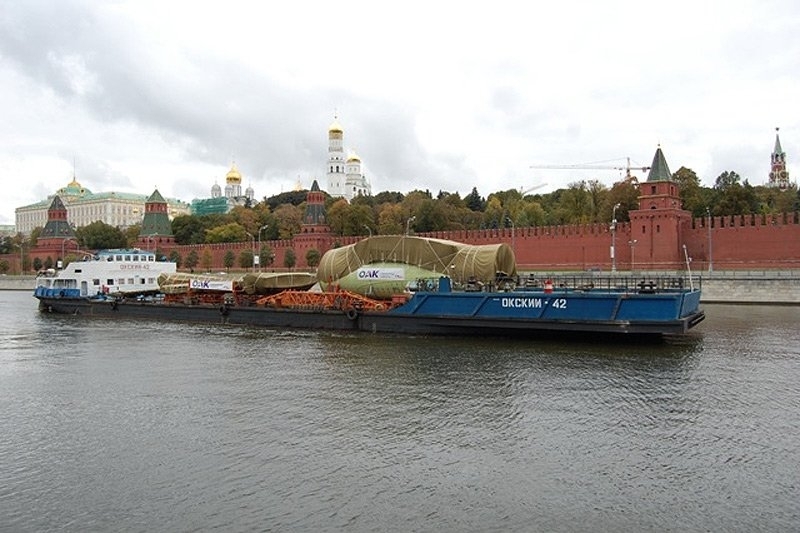 Transportation of the Ilyushin Il-476 fuselage and wing panels, the Moskva River, October 3rd, 2011. 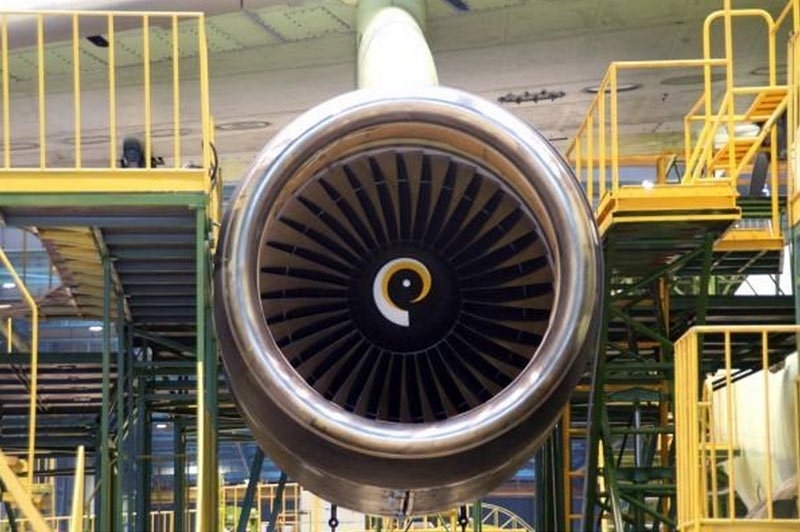 I’m sure that this will be a good rugged, reliable aircraft. I note on some Russian planes there is a bombardier lookout in front of cockpits. What are their purposes? As a bombardier station, nothing. It is an excellent vantage point in search & rescue and for photos. 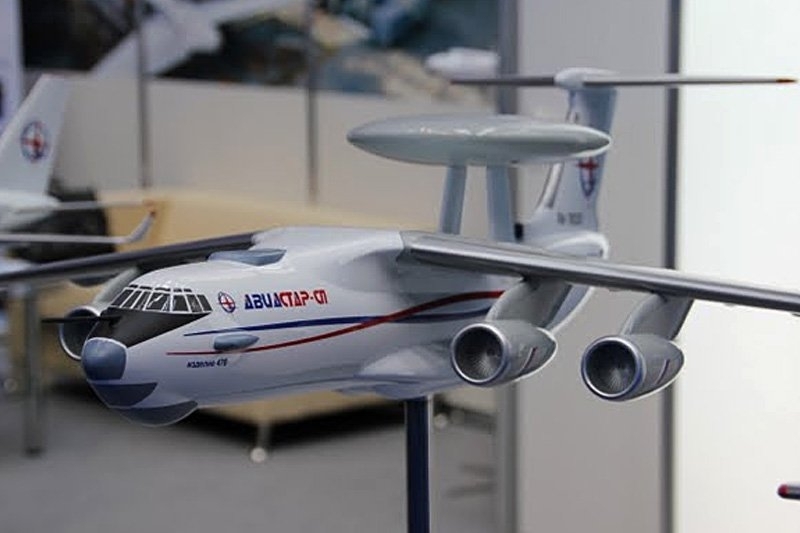 I’m not the biggest fan of the Il-76, but that’s not a bombardier sight on the nose. It’s mainly used for navigation and to take reconnaissance pictures. That’s alot of work that goes into these eh?